Greenville University, not only known for its fine liberal arts education, but widely known for it’s “arms wide open” community lifestyle. Although small in numbers, Greenville’s ability to gather students and faculty from all corners of the world in the name of Christ is simply amazing. With the university’s slogan being “Together,” an education gathered around community is a key focus. 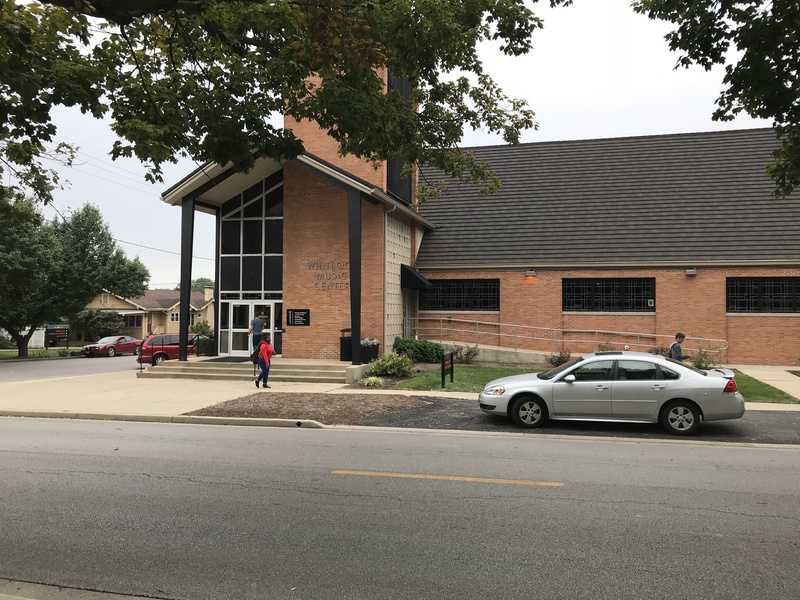 Offering a “Transformative Christ-Centered Education,” Greenville strives to incorporate spiritual formation into academic and extracurricular programs. 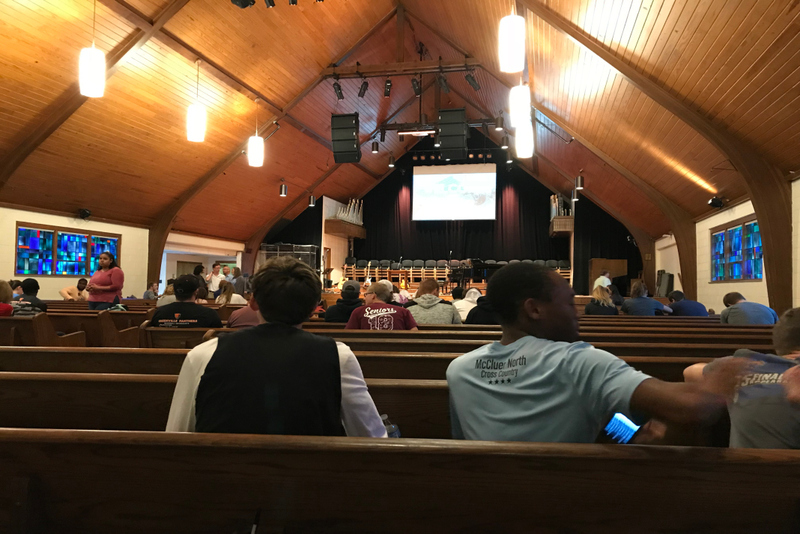 Among these programs are weekly chapel service held on Monday, Wednesday, and Friday mornings in which students gather in praise, song, and faith. In addition to these services, Greenville provides a special Vespers service on Thursday nights, in which is student lead. 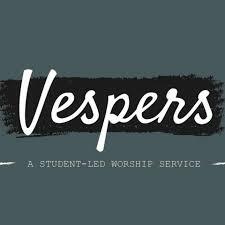 Vespers provides a unique service that attracts students for late night worship. Similar to Chapel, Vespers offers a strong sense of community and the opportunity for friends to praise in fellowship. Greenville’s Dana Angela, vice president of Mosaic, is a student that attends Vespers for the fellowship and worship with friends. While discussing how Vespers differs from Chapel Dana had to say, “Vespers is more of a worship service that is run by the student body. Students of the university not only lead worship but also give their personal testimonies or teach us about the word of God.” These testimonies given by students provide an atmosphere for connection within our community. Vespers uniqueness in late night worship is evident in the personal stories and heartfelt testimonies that come out of the service. While talking about how Vespers offers a unique approach to worship on campus Schwab claims, “Chapel can seem routine, and Vespers is a blessing because we get to break out of that routine.” Students have embraced this late night service for its openness, breathtaking testimonies and its refreshing prayer team. Greenville University has provided a quality Christ-centered education since 1892. With community being a staple since its founding. Greenville has effortlessly continued this tradition, supplying students with a loving and safe environment to grow spiritually and mentally. By promoting these values and ethics within the education, Greenville is home to a unique institution of learning that cares about its community. Programs, such as Vespers, simply give light to the true meaning of what Greenville University is all about. Next articleGU Men’s Tennis: What’s It Like?